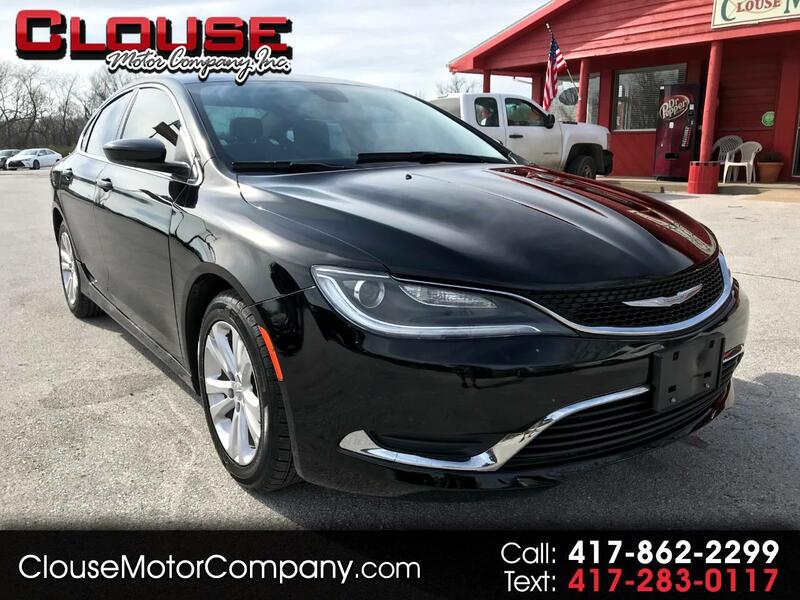 2015 CHRYSLER 200 LIMITED FWD - Here is a great option if you're in the market for a good mileage sedan that gets great fuel mileage! This has a clean black cloth interior with power windows/locks/mirrors, power drivers seat, backup camera, bluetooth, and more! This also has a great set of tires all the way around! Come take this one for a test drive today! For more information on this vehicle or extended warranty information please call 417-862-2299, and watch our website for daily inventory updates. Dont forget to click the Carfax button for your free vehicle history report! Thanks for looking and God bless!